As a tour guide and tour leader – I travel a lot. I travel not only with tourists, but also to prepare the tours, or running a query or just for pleasure. The areas of my interests include both Pomerania and Warmia-Mazury, but I also travel all over Poland. And of course, a place where every seeker of the past always stops, is the church – especially if it is old medieval. Whenever inventorying the church compounds – I also take pictures of the church walls, because they can reveal a lot of information. Whenever I looked at the church walls, my attention was drawn by small – which look as if they were made by a spoon. They are either round or in a shape reminding of a trowel. They are usually gathered around the main (west) portal, as well as on the south wall, more or less to where inside the sanctuary starts (but this is not the rule, because the holes can often be found on the east wall as well). But back to the holes and bricks …. I started to collect the hypothesis on this subject, as well as information on whether and where else outside of my area such holes can be found. I learned about such ones in Sweden, Brandenburg, Mecklenburg, or on Rugia. They can be also found throughout Poland. One of the hypotheses is the expiatory nature of the holes. Namely – the sinner after confession – celebrated penance drilling the wall of the church with his finger. I checked… After such an experience for a few days I had my fingers wrapped with plaster. This theory has fallen as illogical. Almost as popular as the previous one – is a theory of quackery. Indeed, consecrated dust was added sometimes to fodder for cows, or sometimes it was used by local healers. However, the marginal use of such dust, and then numerous pilgrimages – raises the idea that if actually anything like that took place, might have happened in the shrines to which people went on pilgrimages. There also is a version that into such a hollow the ill blew their illness. But – there is some doubt that the church – especially medieval would allow such practices. And besides – what if there are fewer holes in some places, or there is a lack of them? Does it mean that such community was healthier? Most reliable is a theory of fire bow, or as sometimes called: fire bow drill. I found in the internet a short video of how a fire bow drill was used (it is more or less similar to the medieval one) . Some of the holes in church walls are deeper other shallower, some more blackened with smoke than the others. 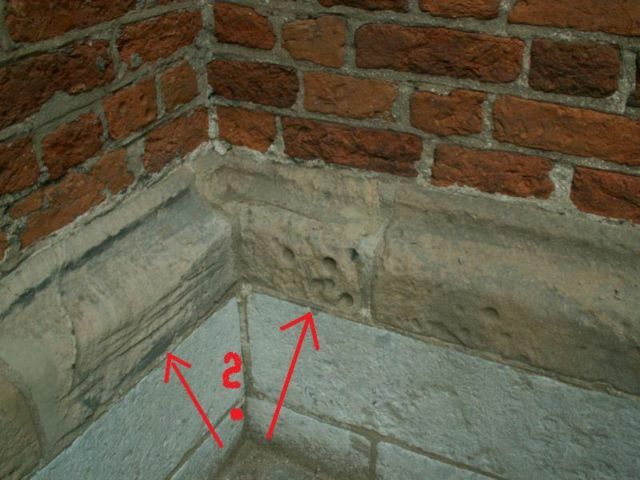 On the photo below we can see strange traces on the walls of St. Johns’ Church in Torun. Is it possible that the fire bow drill left such traces? What finally did the holes mean and why they were made? As the sun comes from the fire – the fire gods were once important figures in the pantheon of deities. For the Prussians – the god having power over fire was Perkunas (the equivalent of the Norse Thor). I deliberately mention Perkunas, because among many holidays – also Easter was devoted to him. From fire obtained in such a way – a Paschal candle was lit, being the symbol of the Risen One. After the liturgy, the faithful took the fire to the house and instantly rekindled the hearth. In some parishes, the custom has been preserved till today. When were the fire bow drills given up and were they replaced with a stone flint? Or maybe at the same time both were used? It is not know exactly, as this aspect of rituals is somehow bypassed by researchers. 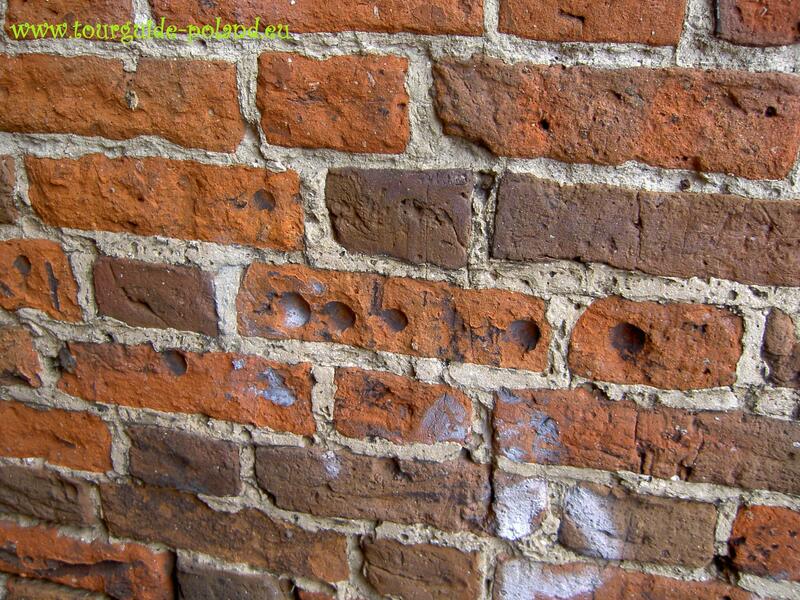 I mentioned the flint stone because besides the round holes on the church walls – there can also be found characteristic spindle-shaped holes as well as ones like traces of the trowel. And here again there are many hypotheses concerning the origin of these strange traces One says about a sword hitting the walls of the temple for luck – and it was to be a form of consecration before the battle of arms / expedition / war. Which of them is the right one? 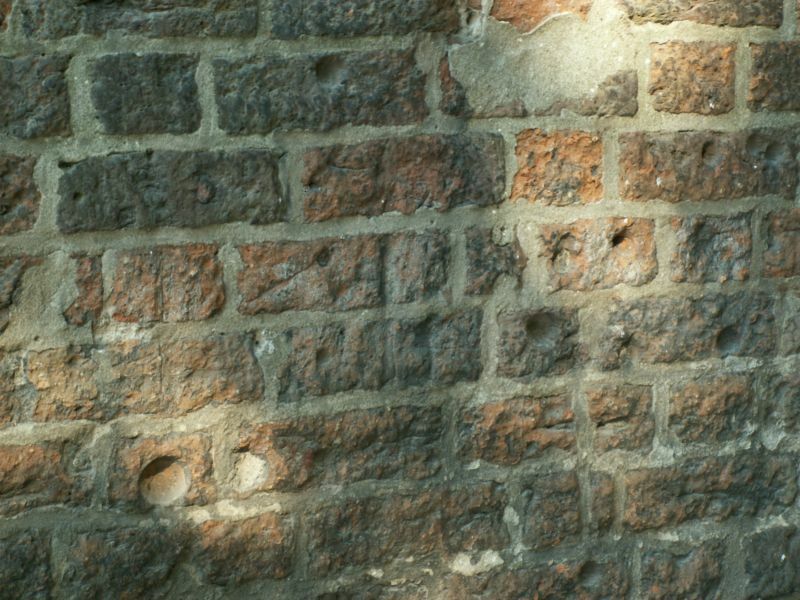 Such holes can be found on the walls of stone and brick temples, even on the timer ones too.Later this custom disappears. When did this “LATER” happen? Had the Reformation any impact on it? Or have other aspects of religion come to be in fashion? The traces of the past continue to surprise us sending us some information ;), yet not always we are able to read them properly. I sometimes wonder why don’t we want to believe in simple and logical explanations. It was Easter Vigil. The priest said something about putting off the lights. Everything went dark, and the crown (it was a group baptism) flooded out from the church. They all went through the south west door of the church… They whirled there for some time (I did not go, sure they’d return sometime) performing the mystery of light. And finally when they returned – everyone had in their hands a candle. And suddenly I realized what a ceremony I witnessed!!! Today no one makes the light against the church walls, but ages ago???? Of course they did! After the whole warm day – the south and west walls were the warmest.